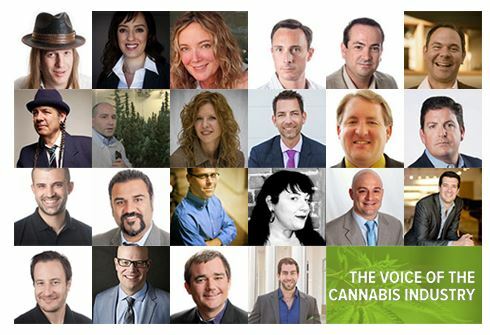 The National Cannabis Industry Association (NCIA), the cannabis industry’s only national trade association, opened voting today for its Board of Directors. The Board has twenty-two Directors, each of whom serves a two-year term, and each year NCIA members fill eleven of the seats. To qualify for board election, a candidate must be the owner or employee of a current dues-paying Sustaining Member business and must be nominated by at least one other NCIA member business (of any level). Voting, which is open to all NCIA members, continues through May 16th, with votes weighted by membership level. Of the twenty-two running to fill eleven seats, ten are incumbents, with one Director having resigned from the Board earlier this year. In 2015, eight incumbents ran, with five retaining their seats. In 2014, seven incumbents ran, with five retaining their seats. Continuing to serve are Cody Bass, Jessica Billingsley, AC Braddock, Max Cohen, Steve DeAngelo, Dale Sky Jones, Rob Kampia, Tripp Keber, Kayvan Khalatbari, Khurshid Khoja, and Christian Sederberg. The non-incumbents represent eight “direct-to-plant” cannabis companies and four “ancillary” companies. While most of the candidates are from the West, three are from the East. Of the incumbents, all but one are from the West, with three of the ten representing ancillary companies. New Cannabis Ventures salutes those that are serving through leadership. Please consider supporting the cannabis industry by joining NCIA.